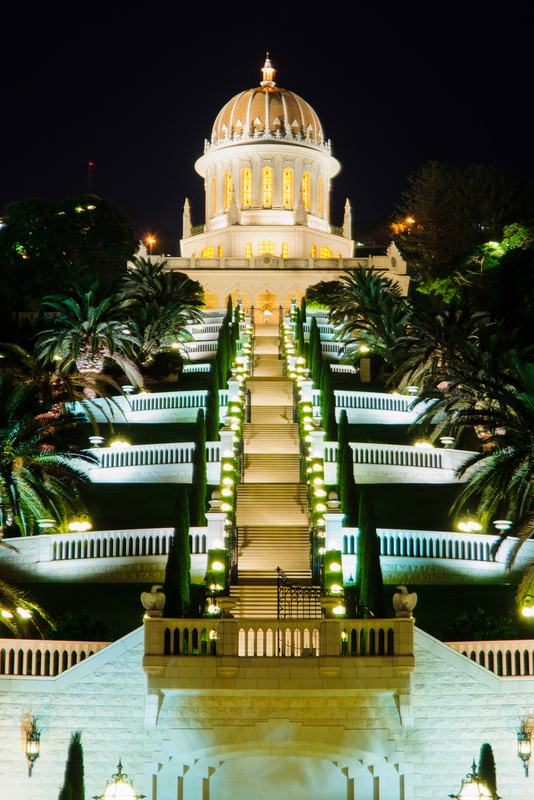 Haifa, the third largest city of Israel, is part of the Haifa metropolitan area and it’s well known worldwide for the Bahá'í World Centre. Haifa, the third largest city of Israel, is part of the Haifa metropolitan area and it’s well known worldwide for the Bahá’í World Centre. It is located on the slopes of Mount Carmel since 3,000 years ago as a small port city in the Bronze Age around 14th century BCE. Haifa has been conquered in the centuries by the Phoenicians, Persians, Hasmoneans, Romans, Byzantines, Arabs, Crusaders, Ottomans, British, and the Israelis. In the 2016 the city is an important seaport of the Israeli Mediterranean coastline with an extension of 90 km. Haifa hosts two important academic institutions, the University of Haifa and the Technion, and Matam, one of the oldest and largest high-tech parks in the country. Moreover Haifa has The Carmelit , that is the only underground rapid transit system located in Israel, and is a center of heavy industry, petroleum refining and chemical processing, being previously the the western terminus of an oil pipeline from Iraq via Jordan. Haifa consists of a population of 266,300, being the third-largest city of Israel, the biggest contribution comes from Soviet Union immigrants, it is a model of cohabitation of Arabs and Jews and in general the population of Haifa is heterogeneous, where Israeli Jews are 82% of the population, 14% are Christians and 4% are Muslims. 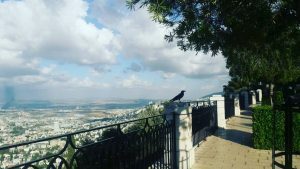 Haifa is located on the Israeli Mediterranean Coastal Plain, the geographical bridge that connects Europe, Africa and Asia, on the northern slopes of Mount Carmel. The city of Haifa splits over three tiers, the lowest is the center of commerce and industry that includes the Port of Haifa, the middle level is on the slopes of Mount Carmel hosting old residential neighborhoods and the upper level consists of modern neighborhoods. Haifa is 90 km far from Tel Aviv and it has a large number of beaches. The Carmel Mountain has three main valleys: Lotem, Amik and Si’ach which are connected to the city by means of natural corridors running up from the coast to the mountain through Haifa and hosting hiking paths where a rich wildlife is present with boar, golden jackal, hyrax, Egyptian mongoose, owls and chameleons. Haifa is featured by a Mediterranean climate with hot dry summers and cool rainy winters. Usually on March there is a springtime weather and starting from May the temperature arises giving rise to a warm summer. Humidity is high over the year and it’s raining usually from September up to May. 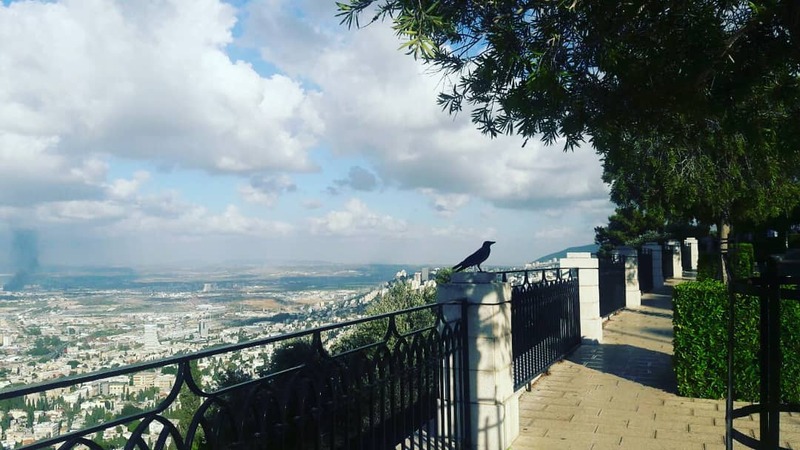 Haifa is structured in tiers from the lower to the upper city on the slopes of Mount Carmel, its oldest neighborhood is Wadi Salib, the Old City close to the port, which stretches across to Wadi Nisnas, the center of Arab life in the modern Haifa city. 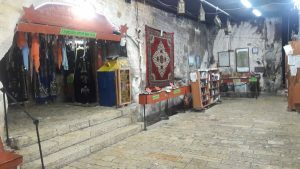 From the 1920 up to 1990 the cultural life of Haifa was in Hadar, the Arab neighborhood, which today extends from the port area midway up the Mount Carmel and hosts two commercial centers. Neve Sha’anan is a neighborhood located on the second tier of Mount Carmel and was founded in the 1920th. 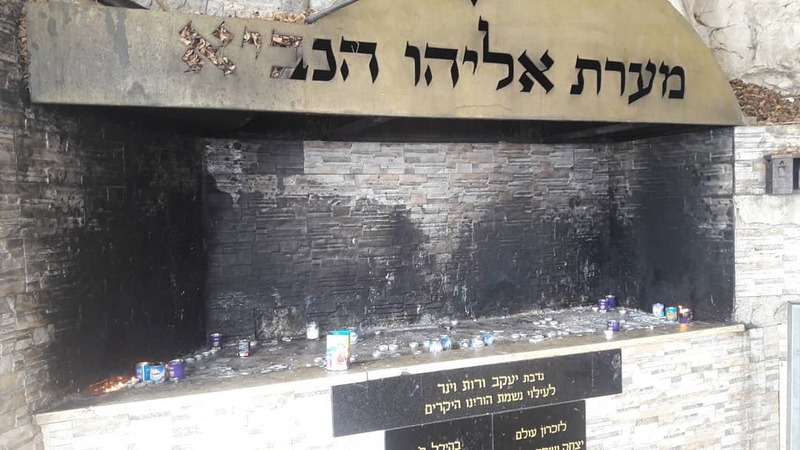 Other neighborhoods are Bat Galim, Shikmona Beach, Kiryat Eliezer, Carmel Tzarfati (French Carmel), Merkaz HaCarmel, Romema, Ahuzat Ha’Carmel (Ahuza), Carmeliya, Vardiya, Ramat Golda, Ramat Alon and Hod Ha’Carmel (Denya), Kababir. Haifa is known for an industrial activity around Kishon River, moreover it hosts one of the two oil refineries of Israel besides the one in Ashdod, producing 9 millions tons of crude oil a year. Matam (Merkaz Ta’asiyot Mada – Scientific Industries Center) is the largest and oldest business park in Israel at the southern entrance to the city, which hosts international hi-tech companies such as Intel, IBM, Microsoft, Motorola, Google, Yahoo!, Elbit, CSR, Philips, and Amdocs, and the campus of the University of Haifa hosts the IBM Haifa Labs. 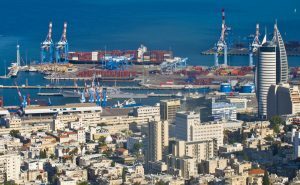 The Port of Haifa is the main port of Israel and a major cargo harbor, besides the Port of Ashdod. Haifa malls and shopping centers. 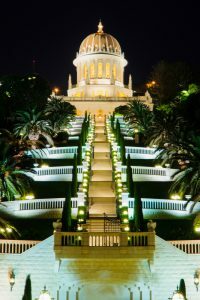 Haifa is a big tourist attraction mostly because of the Bahá’í World Centre with the golden-domed Shrine of the Báb and the surrounding gardens. 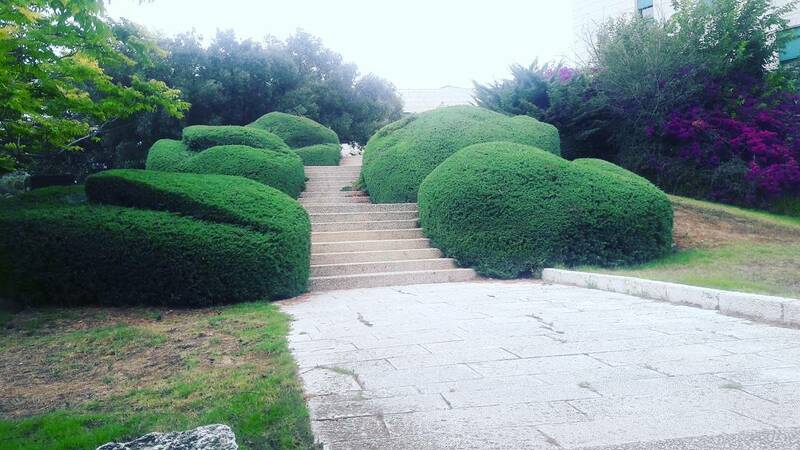 In 2008 the Bahá’í gardens were designated a UNESCO World Heritage Site. Other tourist attractions are the restored German Colony, founded by the Templers, Stella Maris and Elijah’s Cave. 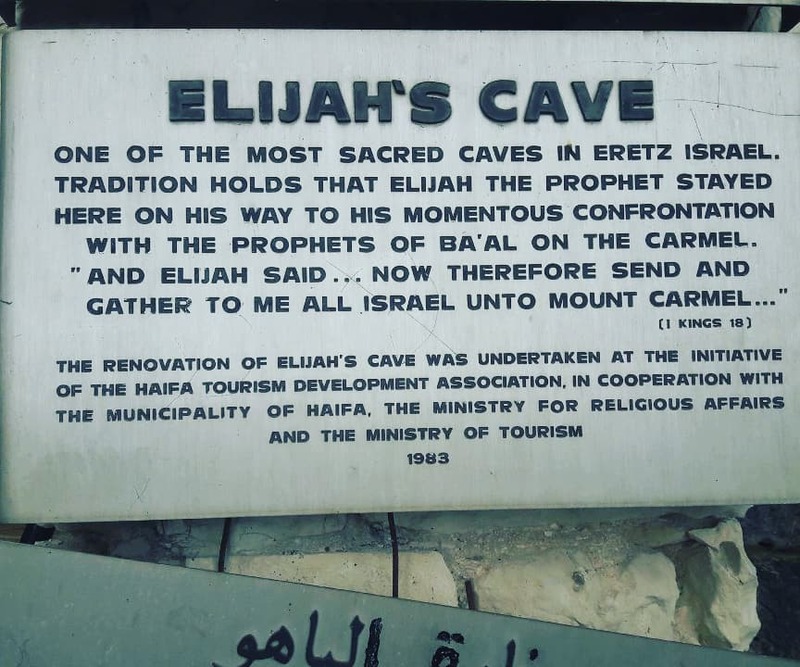 In the Haifa district there is the Ein Hod artist colony, where 90 artists have his studios and organize exhibitions, and the Mount Carmel national park, with caves with Neanderthal and early Homo Sapiens remains. Haifa is the cultural hub of the northern Israel because of the presence of several theaters and museums. The Haifa Theatre, a repertory theater is the first municipal theater founded in Israel, besides other theaters such as the Krieger Centre for the Performing Arts and the Rappaport Art and Culture Center. In the 1950 the New Haifa Symphony Orchestra has been founded and every year has more than 5000 subscribers, the Haifa Cinematheque hosts the annual Haifa International Film Festival and the Haifa Rock & Blues Festival hosts every year famous artists. Among the numerous museums, the most popular is the Israel National Museum of Science, Technology and Space, in the Technion building, with a score of almost 150,000 visitors every year, the Haifa Museum of Art which hosts a collection of modern and classical art, the Tikotin Museum of Japanese Art, which is the only museum in the Middle East dedicated exclusively to the Japanese art. Other museums in Haifa include the Museum of Prehistory, the National Maritime Museum and Haifa City Museum, the Hecht Museum, the Dagon Archaeological Museum of Grain Handling, the Railway Museum, the Clandestine Immigration and Navy Museum, the Israeli Oil Industry Museum, and Chagall Artists’ House. 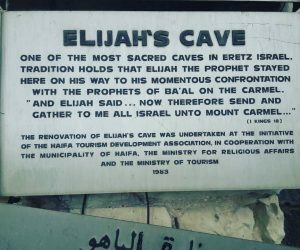 The Cave of Elijah is a grotto written about in the Torah, where the prophet Elijah took shelter during a journey into the wilderness (1 Kings 19:8). Previous articleHadera city – Hameyasdim garden.